⚙ D20063 Sublime Merge Icon. Authored by otavva on Mar 26 2019, 4:26 PM. otavva added a subscriber: VDG. Thanks! The new icon looks good to me. However it looks like an xmlerrors file was accidentally added to this patch. Can you remove that? Looks good. Since it's a proprietary program just check if they have any restrictions about having to use their icons. And yep, the xmlerrors file should be removed. 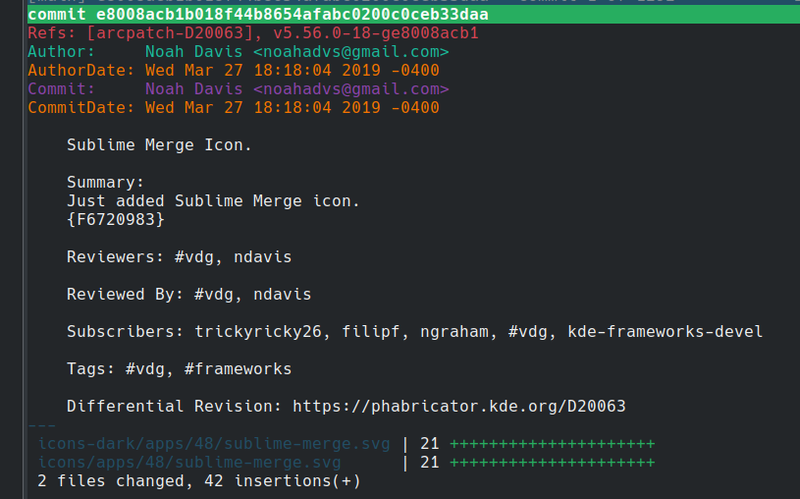 I think that Sublime Merge use Sublime Text license. It is free for use, too. I would suggest using a darker, more blue than cyan color. Maybe this color will be better? @otavva, could you make the top shape more like how it is in the official logo? 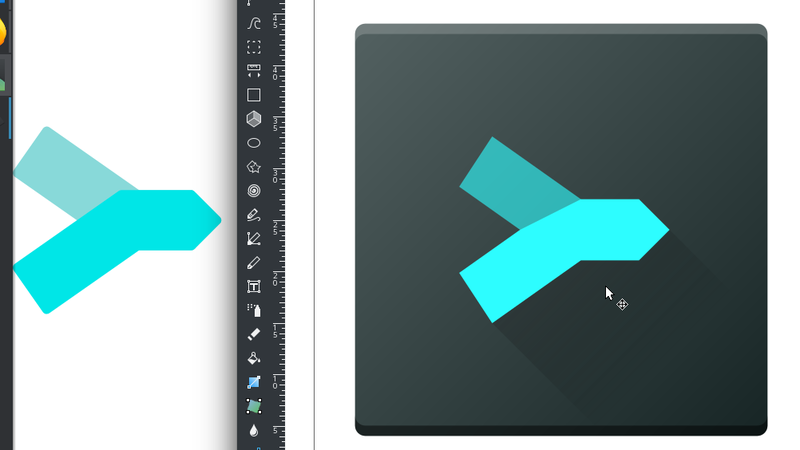 You don't need to do the rounded corners, but that middle section is off. Should I to put it here? Sorry for stupid question, but I don't understand you fully. And what is Arcanist tool? I'm a first time here. Should I to put it here? Yeah just put it in a comment. And what is Arcanist tool? I'm a first time here. Kirill Otavva (or Otavenko if you wish).